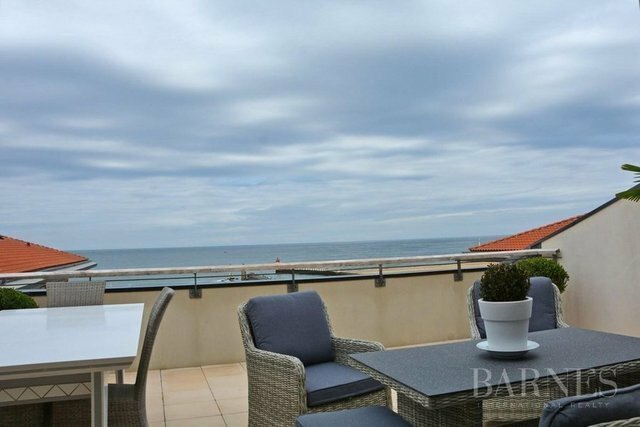 Capbreton, direct access to the beach, 106 sqm apartment with 2 terraces offering a beautiful view of the sea and the port. Situated on the last floor, the apartment is bright. 2 carpark spaces. Lift.